My home studio and The Glass Cabin are located in Beautiful Lake Mohawk, Sparta, NJ. The lake is just down the road from the workshops…it will be the perfect place to relax after a hard day of creativity. The water might be a little bit chilly during our May workshops, but if you go in I’ll go in! You’re also welcome to use our kayaks, canoe or paddle board. 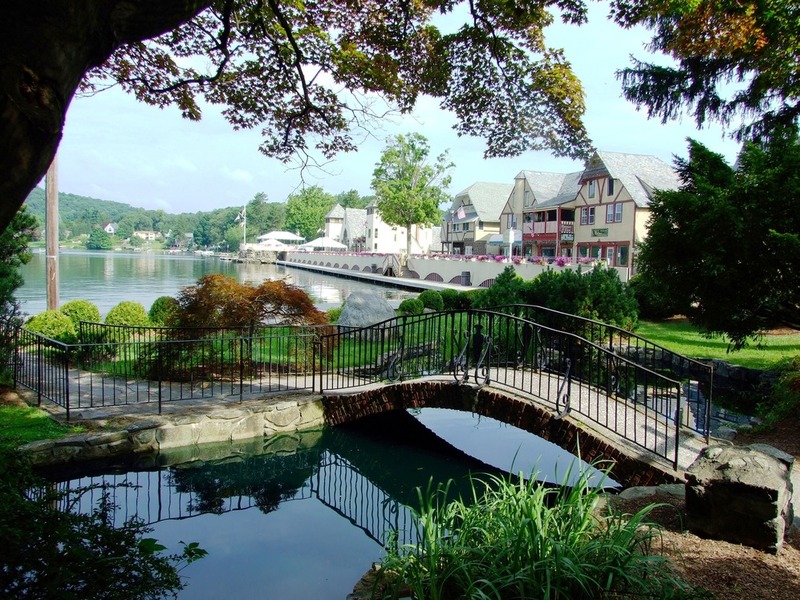 The town has great restaurants, Krough’s Brewpub and St.Moritz are favorites or you can enjoy lake side dining at the country club and a cone from the cutest ice cream shop. Read a bit more about the town here. I hope you’ll find the time to see for yourself why I love so love it here! If you are looking for a true get away, The Tamaracks Country Villa or The Wooden Duck Bed and Breakfast are two luxury options very close. If you are bringing your family, The Appalachian Hotel at Mountain Creek or Crystal Springs Resort, both 20-25 min away are great options to keep everyone happy and occupied while you are out creating. Great camping is also nearby at The Great Divide Campground or Stokes State Park or Swartswood State Park. All have cabins and lean-to’s as well as tent sites. You can also find local listings on air bnb, and all the ‘brand name’ hotels in nearby Rockaway Township. If you are up for sharing accommodations with your fellow classmates, let me know and I can put you in touch with each other. Of course, we’ll be busy creating our amazing stained glass artworks, but If you are bringing your family, or if you would like to extend your stay in the area, there is tons to do…you just better love the outdoors! So many hiking options are within an hour, easy scenic rail trails, the gorgeous waterfalls at Bushkill, Mt. Tammany, high above the Delaware Water Gap, or an awesome and accessible stretch of the Appalachian Trail in Vernon. Mountain biking at Kittatinny Valley State Park or at the Mountain Creek Bike Park is a must if you ride. You can find great antiquing in Lafayette and artsy small-town shopping and dining on a fun excursion up to Milford, Pa. Waterloo Village and Millbrook Village provide a glimpse back in to the history of the area. If you have never been to this part of New Jersey, prepare to be pleasantly surprised by the rural beauty…learn more about the the NJ Skylands here.